Are you thinking about digging up your long sleeve shirts and jackets in preparation for the cooler weather? You should also start thinking about switching up your skincare routine for the new season. 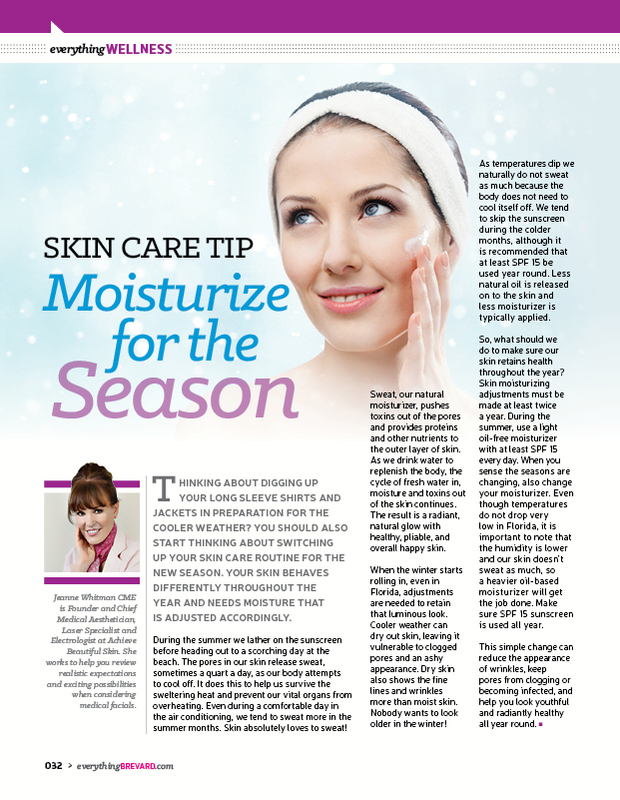 Your skin behaves differently throughout the year and needs moisture that is adjusted accordingly. 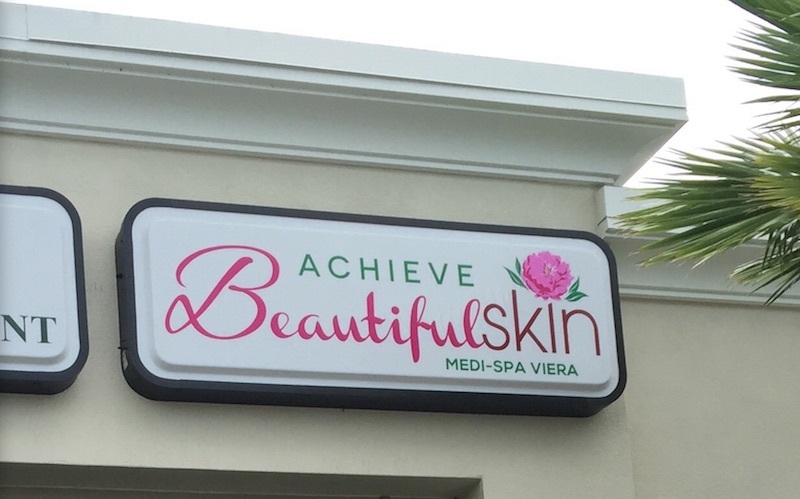 Achieve Beautiful Skin Medispa is celebrating four years in business and the move to a new location with an open house and ribbon-cutting ceremony from 2 to 7 p.m. April 26 at 5466 Village Dr., Suite C2 in Viera. The event will feature live demonstrations and offer food, drinks and prizes. Featured in Space Coast Living January 2016 . Achieve Beautiful Skin Medi-Spa offers skincare services to rejuvenate the skin on your face, neck and body. They provide refreshing anti-aging and oxygen facials, chemical peels, luxury therapies such as the Beverly Hills Peel or Photo-facials and Emvera DioLux Fast, Pain-Free Hair Removal. Emerging Business of The Year 2014. 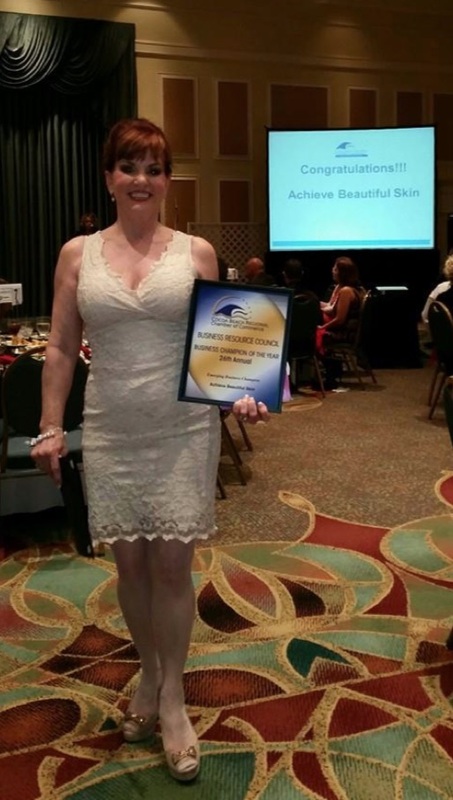 We’d like to offer our congratulations to one of the sponsors of Viera Living, Jeanne Whitman, from Achieve Beautiful Skin in Viera, was just honored as Emerging Business Champion 2014 by The Cocoa Beach Regional Chamber of Commerce and the Business Resource Council. 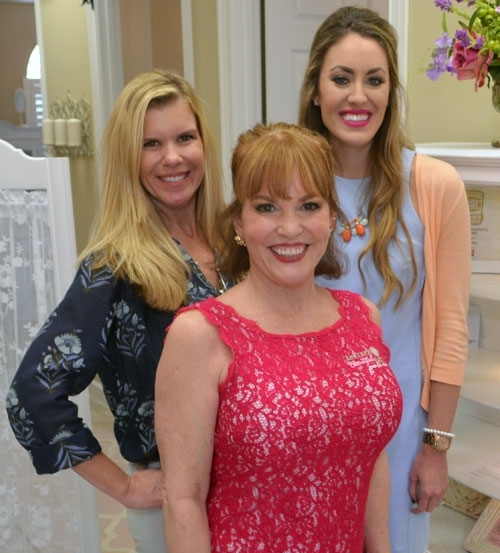 Jeanne Whitman, owner and operator of Achieve Beautiful Skin, has made community involvement part of her regular routine. Featured in January 2014 Charm Magazine. Achieve Beautiful Skin is a local medi-spa that offers medical-quality spa services in an elegant and relaxing atmosphere under the direction of Dr. Pinksy. The spa was founded in 2012 and is solely operated by the owner, Jeanne Whitman, CME, a qualified Medical Aesthetician, Laser Specialist and Electrologist. The Edge: Never underestimate power of intuition. Balancing emotion with business savvy. It can be a challenge for female entrepreneurs. Small business owners always have their own unique set of challenges. For me, the challenges came with success. I’d worked hard over the past three years to build my business to a level of success and brand recognition that made me proud. With that success came offers to relocate my business within other medical groups — to become part of other local businesses to enhance their own service offerings. 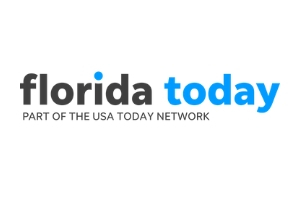 Viera Living March Sponsor of the Month. Has your skin seen better days? Is it dry? Sun damaged? Or starting to show signs of the times? Or maybe you are looking for laser hair removal. If so, look no further than Achieve Beautiful Skin: the one-stop shop for all of your skin care needs. Owned by Jeanne Whitman, CME, Achieve Beautiful Skin is a luxury Medi-Spa that offers a variety of services including facials, chemical peels, microdermabrasion, laser hair removal, fractional collagen induction therapy, and customized spa parties. Let’s just say there is something for everyone here. Their pastel walls and soothing ambiance at Achieve Beautiful Skin is relaxing and rejuvenating to all who enter. Women History Month Spotlight at SBA: Achieve Beautiful Skin Looks Marvelous . The U.S. Small Business Administration South Florida District’s Women’s Business Center (WBC) at Florida Institute of Technology in Melbourne is an integral business resource for inspiring women entrepreneurs and helping women-owned small businesses grow and create jobs. Just ask Jeanne Whitman, owner of Melbourne’s “Achieve Beautiful Skin”. Sponsor of the Month: Tortoise Island February. Featured on the Women’s Business Center Website. 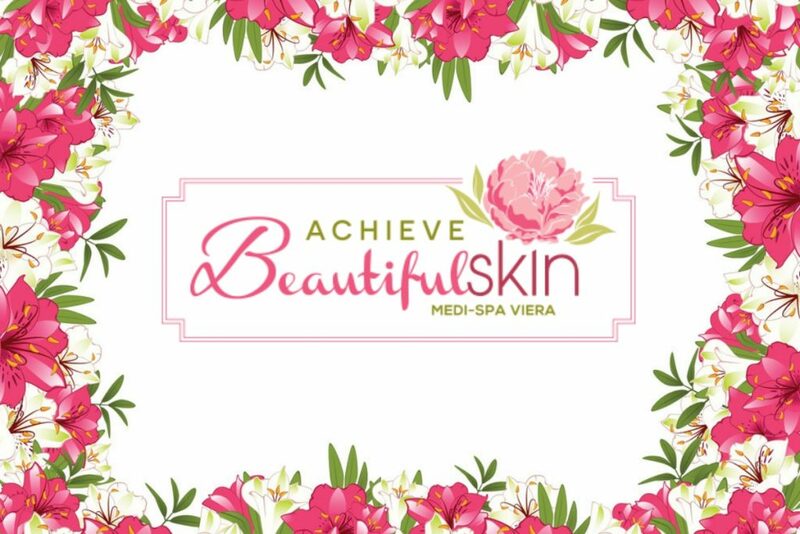 Achieve Beautiful Skin is a medical spa that features Laser treatments, SmartPeel Medical Microdermabrasion, Dermawave Ultrasonic Skin Rejuvenation, Chemical Peels, RejuvapenTM, Massage, Resin Bowl Pedicures, Bridal and Special Event Spa Parties, Bridal / Special Event Make-up artistry. Achieve Beautiful Skin (ABS) was launched on April 1, 2012 by Jeanne Whitman CME, an experienced and qualified Medical Aesthetician, Laser Specialist and Electrologist. Her vision was to establish the company as the county’s most affordable provider of quality, professional skin care treatments. The mission of ABS is to serve the greater good of clients by providing more value than any other medical spa in Brevard County.